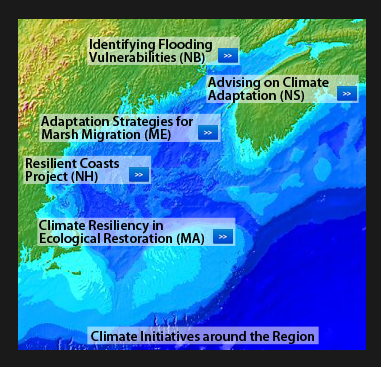 The Gulf of Maine Council’s Climate Network helps produce and distribute the Gulf of Maine Region Quarterly Climate Impacts and Outlook. 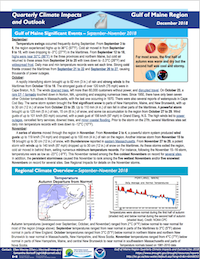 Each season, US and Canadian scientists share data to provide this overview of the past season’s events and anomalies, and the weather’s impact on the region. 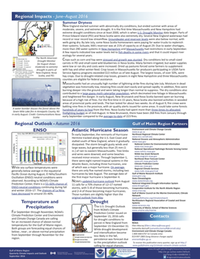 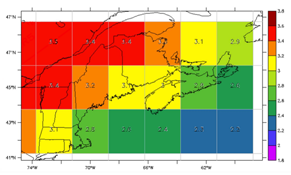 Sign up here to receive the Gulf of Maine Region Quarterly Climate Impacts and Outlook every March, June, September and December. 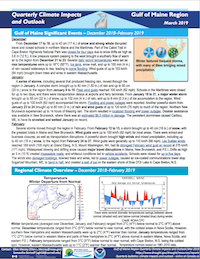 For more details, see the Climate Dashboard offering recent and real-time climate data for the northeast US and Atlantic Canada.